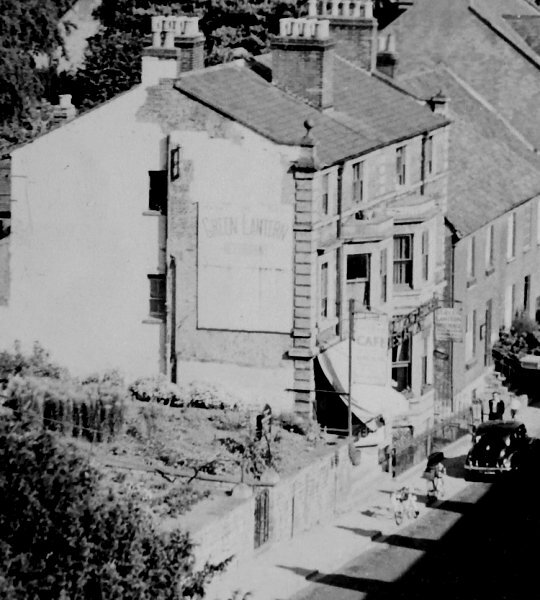 The Green Lantern was a short-lived restaurant in Kingston during the latter part of the 1940s in what had been a private house, seen in the photograph below. All references to the restaurant, which could accommodate up to 150 persons, date to between 1947 and 1950. It was reported several times as the venue for the annual dinners of various Yeovil societies and organisations. Note its telephone number - Yeovil 74. The restaurant was owned and run by Egglestone John Bunce, born in Yeovil in 1914. 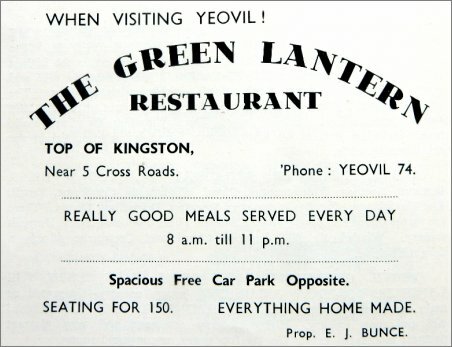 Bunce left Yeovil in the very early 1950s at which time it is thought that the Green Lantern in Kingston closed. 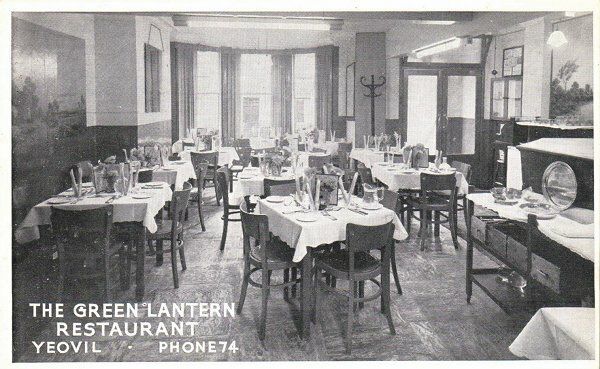 Bunce opened another Green Lantern Restaurant in Portland, Dorset, but was made bankrupt in 1955. He died in Yeovil in the autumn of 1974. 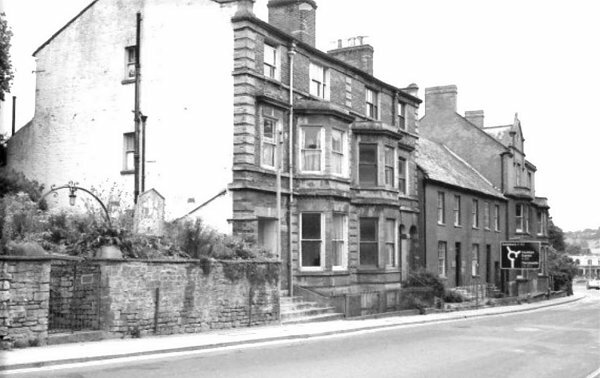 At left in this photograph of the eastern side of Kingston is the entrance gateway in the garden wall of the Unitarian chapel and next door the three-storey building was, for a short time during the 1940s and early 1950s, the Green Lantern Restaurant. Photographed in the mid-1960s. A postcard of the interior of the Green Lantern Restaurant, dating to the late 1940s. The Green Lantern photographed arounf 1950. From the 27 April 1949 edition of the Western Gazette. I like the last part - ".... no question of black marketeering" (as if). 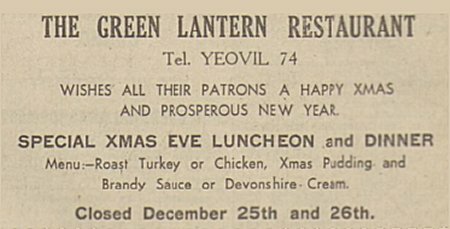 Bunce's advertisement for the Green Lantern Restaurant in the 1950 Yeovil Guide. Not just good meals, but really good meals. An advertisement from the Western Gazette's edition of 22 December 1950. The last reference to the restaurant. A table spoon, stamped with the legend "Green Lantern, Yeovil". .... and an enlargement of the legend.